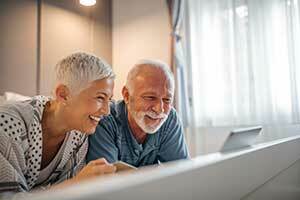 As you’re reaching the age of retirement and looking forward to the freedom that comes with it, you may realize that your plans require more money than you thought, and you aren’t ready to stop earning an income. Maybe the thought of a fixed income is causing you stress. This is motivation to begin focusing on direct sales businesses. You may be hesitant when choosing between direct sales businesses, but Kaeser and Blair rises above the competition in terms of reputation, profit margins, flexibility and freedom. Kaeser & Blair has over 100 years of solid growth in the in the industry and is one of the most respected distributors among suppliers. When it comes to direct sales businesses, there is no reason to look anywhere else. With an A+ Better Business Bureau rating, we have the largest group of independent businesses and are known as a leader in the industry. With a storied history of success, you can rely on our direct sales businesses and trust the integrity of Kaeser & Blair. K&B has the strongest reputation in the business, but that’s not the only thing separating us from the competition. If you’re comparing direct sales businesses based on profit, you’ll take comfort in knowing that Kaeser & Blair’s profits are beyond compare. Our profit margins are at 65% and as a business owner, you would be able to work as much as you want. Part-time business owners could potentially make up to $20,000 per year and full-time business owners could make up to $185,000 per year. Both of these amounts are achievable using our Best Buys catalog—more than $100,000 in promotional products are sold from the Best Buys catalog every day! On top of that, we have an incentive program that appeals to all. We don’t give out cars, or vacations, we give you exactly what you want-- cash! Finally, of all the direct sales businesses, Kaeser & Blair is known for letting its business owners stay in control. We don’t require you to sign any binding contracts, meaning we allow you to run and promote your business the way you’d like. Not only can you choose your own hours, but also your place of work. If you’ve recently retired and are looking forward to spending more time in your home, this is perfect for you. You can work from the comfort of your home, when it’s convenient for you! If joining one of the best direct sales businesses and working on your terms interests you, join Kaeser & Blair and see what it’s all about. For a minimal startup cost of $85, you can order our Standard Business Owner Program, which includes everything you will need to get started—including the Best Buys catalog mentioned. Additionally. Once you reach your first $1,500 in sales, we’ll refund your $85 investment. If you change your mind, you can send back the kit within 30 days for a full refund. Are you still unsure? Request our FREE TRIAL LAUNCH PACKAGE today and compare us to other direct sales businesses. You will find that there is no truly comparison.